Not only is it a great resort for families, but lots this little resort has to offer. If you want to have the perfect day in La Tania, no matter what you’re looking for, there’s something for you. Theres tons of reasons to love the resort, but we’ve narrowed it down to our top 10. 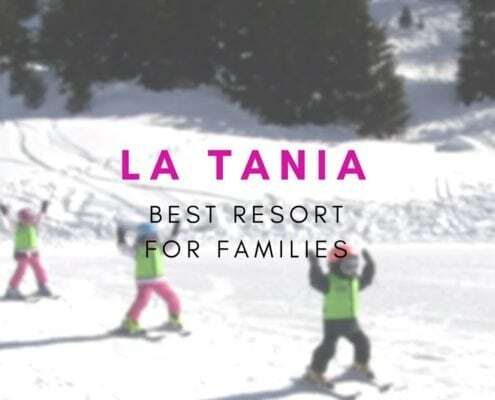 La Tania is great value! It’s one of the five villages that make up the super plush resort of Courchevel, yet comes with a much smaller price tag that it’s better-known neighbours. There are a range of accommodation options, from budget self-catered apartments to mid-range hotels and chalets, all the way up to more luxury, boutique chalet holidays. In addition, the tourist office are great and often set up free events and activities for children and families, there’s a great area at the bottom of the slopes for bum-boarding in the evenings and the main drag lift in the centre of the resort is completely free! Hotel Telemark for a pizza whilst watching the rugby or football. It’s so refreshing to be able to dine out without feeling like you’re breaking the bank. 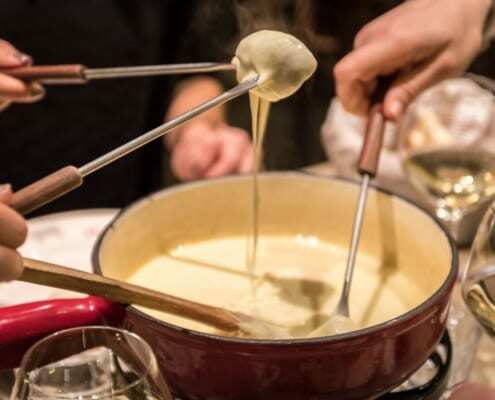 At the other end of the scale, La Tania is home to an AMAZING Michelin starred restaurant which is also pretty affordable – it’s called Le Farçon and it’s gooooooooood! 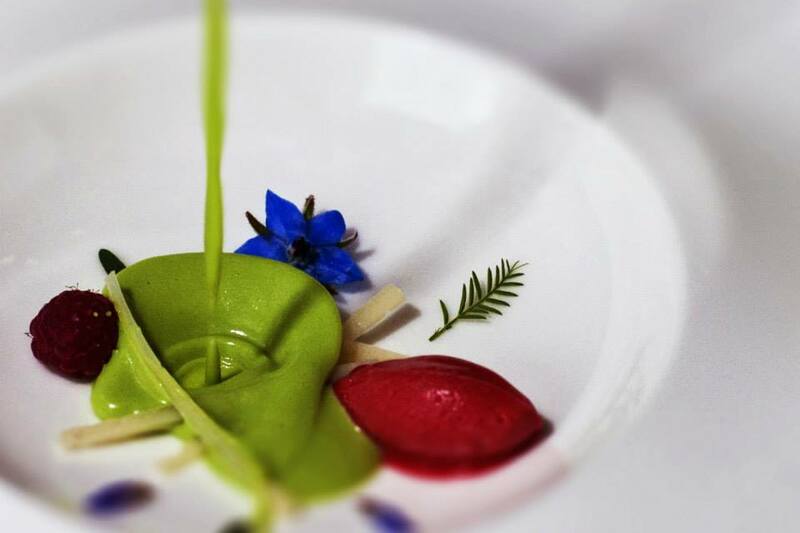 The chef Julien Machet comes from a Savoyard family and cooks really exciting, modern food. The best part is, they offer a lunch menu for only €42p/p. It’s fair to say that you might end up spending a little more on wine, but that’s only because the ambiance is practically hypnotic and genuinely takes you to an alternate land of food heaven. La Tania is smack, bang in the middle of Courchevel and Méribel meaning that it’s easy to access a huge range of skiing options, several luge courses and two awesome snow parks for learning tricks and jumps (including some airbag jumps the get the air without the risk). 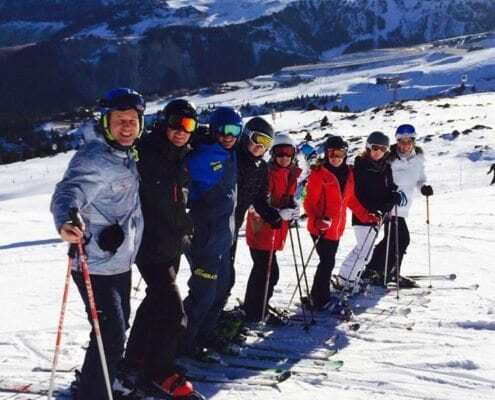 In addition, you can day-trip to the other end of the Three Valleys, visiting Val Thorens, Orelle and also the spectacular views from the top of Mont Vallon. 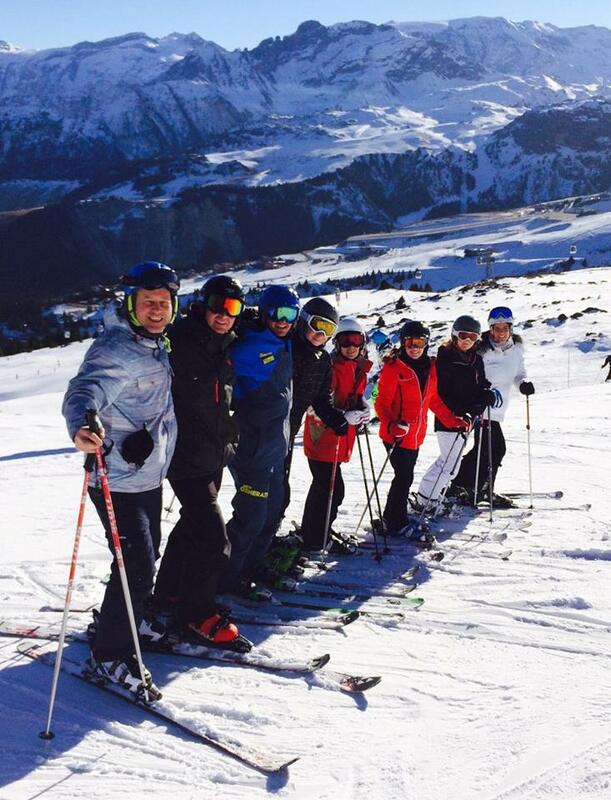 Staying in La Tania truly gives you the opportunity to fully utilize the biggest linked ski area in the world. Eh? What’s so good about trees? 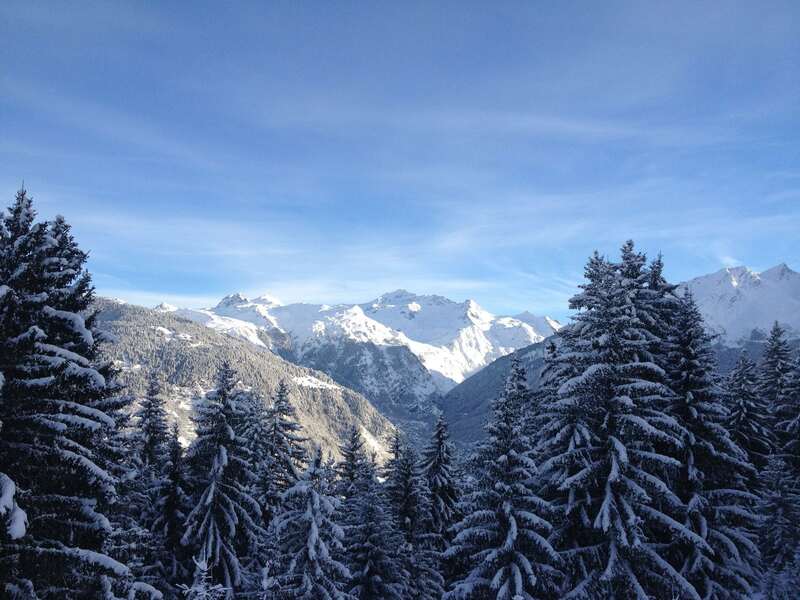 Let me introduce you the trees of La Tania… Firstly, they make the skiing utterly beautiful. Surrounded by snow-covered branches, it’s as if you’re entering another world where Aslan could roam freely and the White Witch might try to feed you Turkish Delight. Secondly, the off-piste tree-skiing in La Tania is second –to-none! It’s varied, exciting and easily accessible so also great for those days that staying low will beat the weather. From the centre of town, it creates a lovely atmosphere and also allows for maximum fairy light usage and lots of super sparkly trees! When we were hit by winter storms this season, La Tania was undoubtedly the best place to be. High speed winds closed many pistes, lifts and even some resorts around the Three Valleys this winter, but La Tania was low-down enough to escape the worst effects and has three drag lifts that take you as high as the main bubble lift does. So when other resorts were limited or closed, La Tania could still provide a green, blue and a red option – way more than the neighbours. The main street in La Tania is completely pedestrianised! 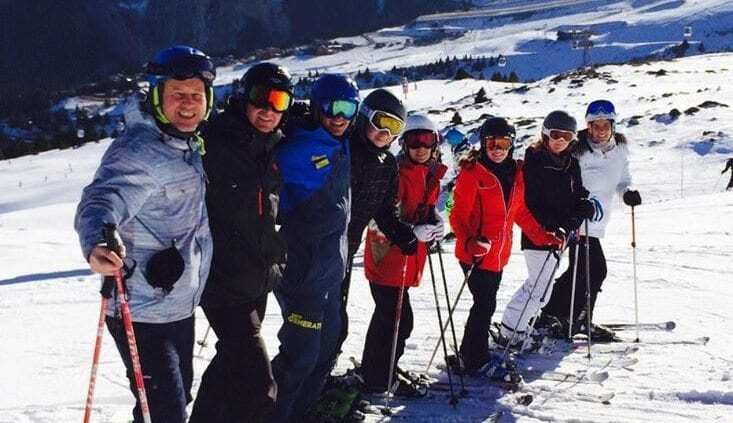 It’s great for families because the kids can run around without fear of cars, and for the same reason it’s ideal for adults who need to move from piste, to après, to restaurant, to bar! La Tania has some awesome cocktails on offer that come with even better happy hours! La Taiga has to be mentioned here, for its selection of unusual cocktails including my tipple of choice, the Lychee Caipiroska (genuinely takes me to a tropical beach for about 5 minutes) and the Monks Promise (don’t let the holy name give you a false sense of security – this is not for the faint-hearted!). I’d also throw the Hotel Montana into the mix (no pun intended…) for serious value for money, and a superb Espresso Martini. You can also get the most tasty Hot Toddy i’ve ever tasted for warming those cockles. Ok, I apologise for the terrible pun BUT I don’t apologise for mentioning the apès in La Tania. It’s great! The Ski Lodge is the place to go which a huge variety of musical acts throughout the week. The drinks are affordable, bar snacks are delicious (my favourite sharer is the mixed platter) and it’s right by the piste as well as in town! Of particular note is the Thursday, Bring Your Sisters après session which is always heaving and great fun. The number one best thing about La Tania is the skiing. Seriously, ask anyone – Folyeres is one of the most awesome pistes in the whole of the Three Valleys. It’s a blue but it’s long, lovely big rolls, surrounded by trees, winding, wide and so much fun! The green is like a journey through the forest and far more interesting and varied than your standard straight, shallow green option. The reds are all pretty exhilarating, especially Bouc Blanc which takes you all the way down to its namesake chairlift, and La Tania is also home to my top black run – Dou des Lanches. The off-piste here is (as aforementioned) largely in the trees, so it’s just the most fun ever! Literally – La Tania has it all. Do you love La Tania as much as we do? Let us know why in the Facebook comments below.